The Amstel Gold Race, held in southern Holland, seems to have been designed to prove that The Netherlands is not flat like everyone erroneously believed. The race has 32 hills and is usually won by a puncheur/grimpeur-type of rider and not the heavy sorts who tend to win Paris-Roubaix, for example. Toothpick Frank Schleck, for example, won it a few years ago. I’m not sure who to pick for this one, but I’ve had luck with reformed drug users this year, so I’ll go for Alejandro Valverde. For a comprehensive history of Amstel Gold and the rest of the Spring Classics, try this book. 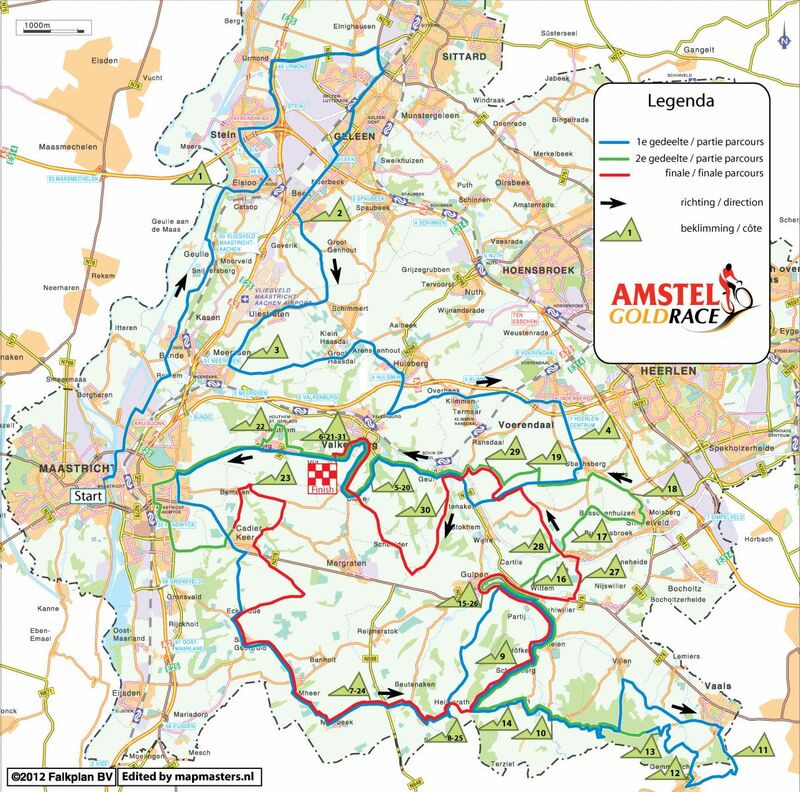 This entry was posted in Cycling and tagged amstel gold 2012 route map. Bookmark the permalink. That seems as good a category of riders as any to choose from! Mine is ‘cyclists I’ve named alpacas after’ so I’m going for Cadel Evans. Cadel the alpaca. Now I’ve really got to visit your farm! Thanks, Roan. My one big regret is wasting so many points on Andy. I should have known better. what are ya gonna do!! !